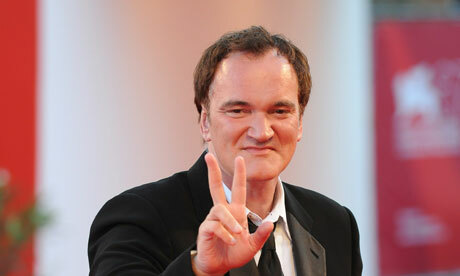 Worries About Tarantino’s “Django Unchained?” | The Cineaste's Lament. ← “Mission Impossible: Ghost Protocol” Trailer. … this morning, critic Ben Childs voices some concerns about “Pulp Fiction” director Quentin Tarantino’s plans for a film about an escaped slave (Jamie Foxx) who partners with a German bounty hunter (Waltz) to take out the plantation owner where he was once held captive. “Apparently, the issue of slavery, with all its attendant bearings on the troubled history of American politics, were not powder keg enough for Tarantino, who also decided to throw forced prostitution into the equation. At various points in Tarantino’s leaked screenplay, Broomhilda is reportedly raped, whipped and forced to expose herself publicly while being auctioned. Worse still, that’s apparently pretty much all there is to Washington’s role. If true, it smacks of the worst kind of objectification. This entry was posted in Film News, Our Films, Ourselves, Thinking About Movies and tagged Django Unchained, Inglorious Basterds, Jaime Foxx, Pulp Fiction, Quentin Tarantino, Reservoir Dogs, Slavery. Bookmark the permalink.